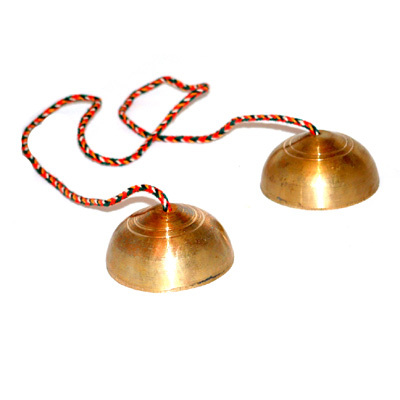 These brass bell chimes from India have been tuned to the note "E", and have a clear ringing sound with a long sustain. We recognise that buying musical instruments online without being able to physically play and hear them has it’s limitations, particularly with many of our unique instruments that you won’t have experienced before. We want you to be totally satisfied with your purchase, so if any instrument doesn’t meet your expectations, please return it to us within 14 days of purchase for a refund or exchange. Please see our Returns Page for full details. Sign up to our FREE newsletter for the latest news and product info straight to your inbox. Please add your email address here.